I found myself with an abundance of cucumbers from my garden the other day – I lost count, but I think at one point, there were 12 cucumbers sitting on my counter. I needed to do something with them so after giving some away, chopping some into salads and dunking them in ranch, I still found myself with a few stragglers. I decided to make refrigerator pickles – they’re so simple and yet so delicious. The prep time is ridiculously fast and they end up tasting so much better than store bought. 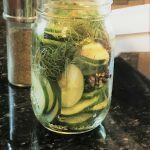 I used a pretty straight forward recipe but there are endless ways you can customize your pickles. You can switch up your vinegars – try champagne vinegar – for a slightly sweeter and mild taste and of course, you change what herbs and spices you add. The options are endless! And don’t just stick to cucumbers – carrots, asparagus, cauliflower, green beans, you name it – are all good options to pickle! 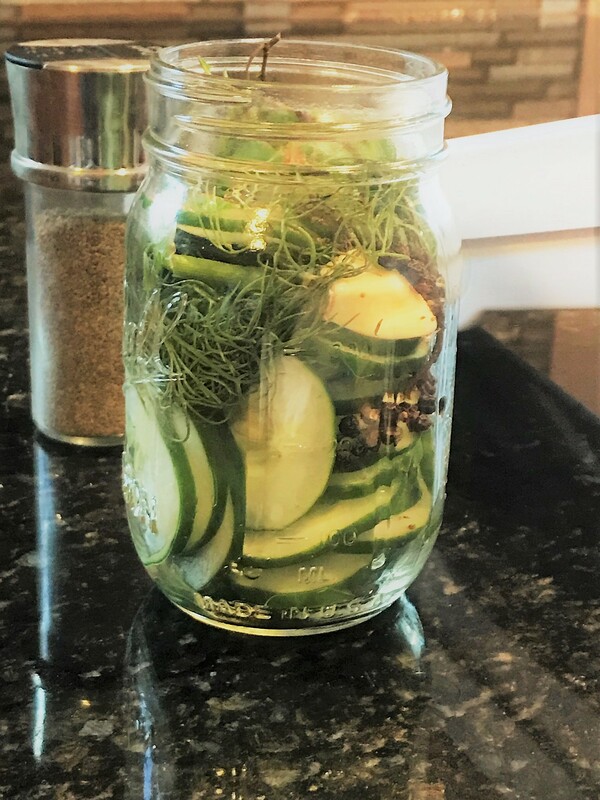 If you find yourself with an abundance of produce from your garden as the season winds down – don’t fret, just get pickling! Place vinegar, water, sugar and salt in a small saucepan over medium heat. Bring to a boil, stirring often until sugar and salt dissolve. 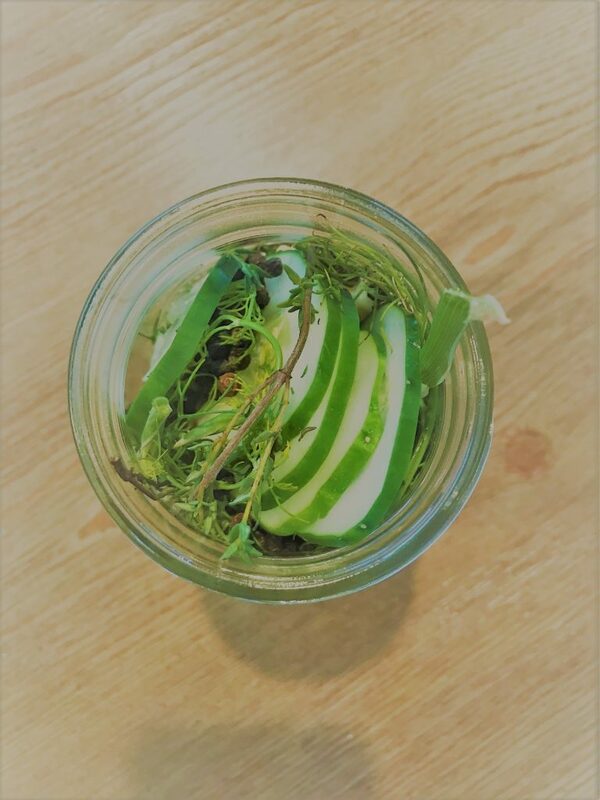 Place remaining ingredients into a one quart jar and pour in pickling liquid. Place lids on the jars and shake to evenly distribute all the ingredients. Refrigerate for at least 24 hours – the flavor will be best after 2 – 3 days. Will last up to two months in the refrigerator.